The Pleasant Prairie Village Board has approved a 2012 Small Building Redevelopment Grant Program. The program is meant to provide an incentive for entrepreneurs and small business people to redevelop small vacant buildings within Pleasant Prairie. If awarded, grants would be used to offset up to $2,500 in fees related to a Village Pre-Development Agreement. In order to qualify for the grant, an application would need to meet specific criteria related to the building’s size, age, location, vacancy, proposed use, and plan approvals by the Village Plan Commission. The 2012 grant program is targeting the redevelopment of vacant buildings that are 5,000 square feet or smaller built prior to Jan. 1, 1989, and located in specific business and institutional districts in Pleasant Prairie. 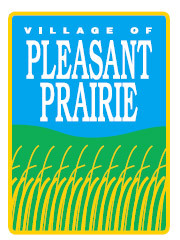 Details related to the 2012 Small Building Redevelopment Grant Program are available online by visiting http://www.pleasantprairieonline.com/boardsandcommissions/villageboard/Meetings/meetingspost2010.asp and viewing the agenda documents for the Dec. 19, 2011, meeting.